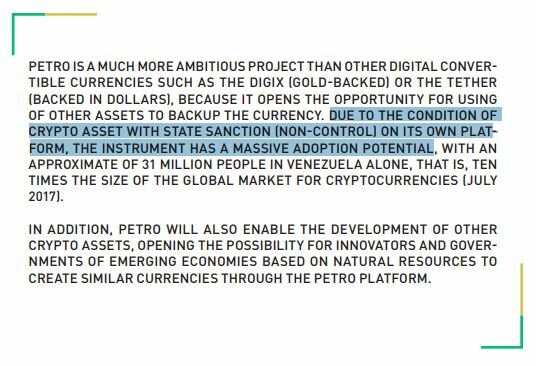 The PETRO (PTR) will be backed by the Bolivarian Republic of Venezuela and the wealth of its large crude oil reserves. More importantly, the Petro has been created in an innovative manner, using the highest standards in block chain technology and information security, thinking of a future where electronic asset-representations will enable more direct trade as well as government work within the framework of true financial and economic independence. 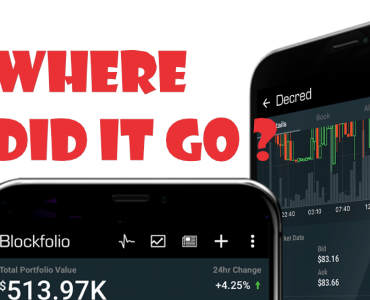 Social Media is filled with write-ups where they are opposing this coin but technically speaking I do not see any drawback, as their country is a struggling economy and the nation is trying to get out of petro-dollar monopoly with their own held reservoirs of Crude Oil, Petro Coin has a huge potential and will be a coin which might actually “do something” in terms of practicality. To buy Petro Coin you will need to participate in the Pre-Sale which is currently going live. The website is unsecured and its in Spanish so you will need to use some translator. Step 2 : Select “Persona Juridica” if you are applying as a company or “Persona Natural” if you are an individual. Update – 24 February 2018 : Registration links and emails have started working so lets go ahead with the tutorial. Dear user, we inform you that on 21-03-2018 you have successfully registered in Petros pre-sale system. 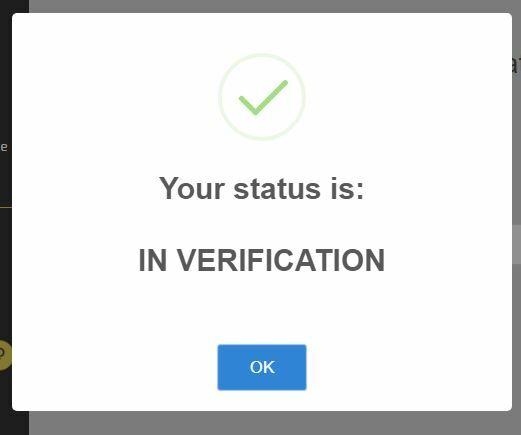 Step 12 : A success confirmation prompt will come on the screen and that’s it, you will now again need to wait for another email where they setup a wallet and account , will update as I receive the same. How to Invest in Petro Coin ? 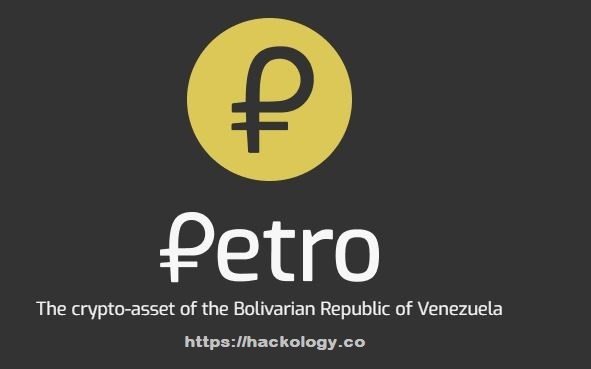 Currently Petro Coin is not available on any Crypto exchange so you can not buy it from any exchange and many users are telling that their official ICO websites are no more accessible to people outside of Venezuela , latest reports are that we might see El-Petro Coin on exchanges by end of November 2018. 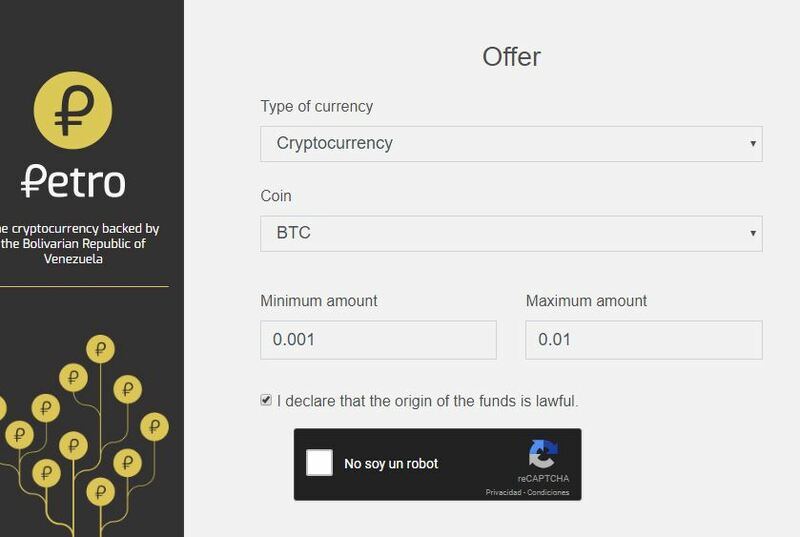 Buying will be possible when Petro Coin reach crypto exchanges. Its a wait and watch game for now. 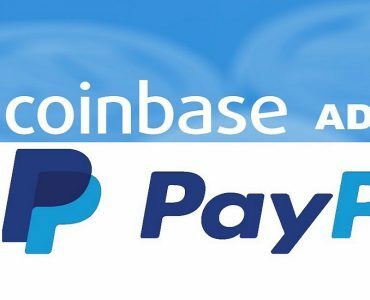 As per the roadmap given on the website, private sale was suppose to begin in March while the ICO was planned in start April although the presale is already live on their website. Reasons are unknown about the early start, maybe they developed things earlier ? which is unlikely. 44% Public ICO at international Oil Barrel Price, 1 Barrel = 1 Coin. 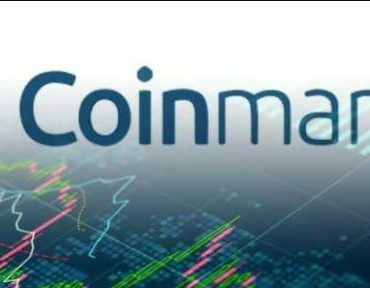 38.4% Private ICO at Fixed $60 per Coin. 17.6% Reserve for the Government. 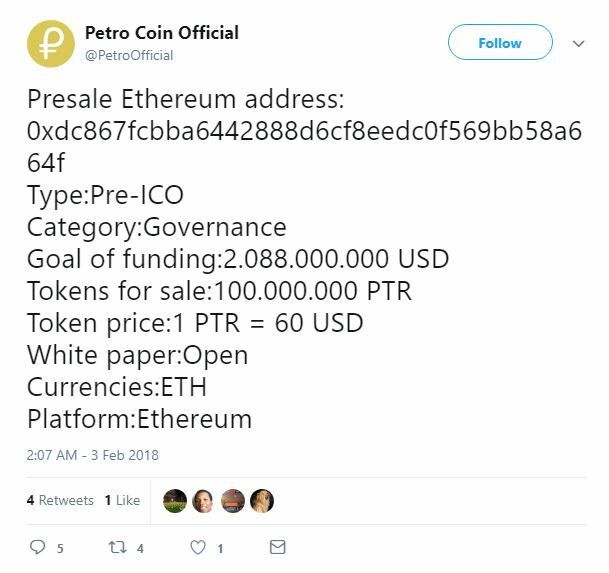 Scammers never miss out an opportunity and are already scamming people with fake twitter accounts and posing as Petro Coin. @PetroOfficial on twitter is one example of an ongoing scam and using 0xdc867fcbba6442888d6cf8eedc0f569bb58a664f Ether wallet address , stay alert. My favourite question, Is Petro coin a scam or legit. Before I answer this I would like to know how many times have we participated in coins which we have no idea about, no knowledge about actual team behind a coin and no activity on their code and a missing whitepaper. I have covered so many of such Cryptocurrency. Petro Coin has shared a Whitepaper, a working idea and roadmap and how ever the country might be this coin is supported by a “Country”. I can not speak about the human element no one knows the government runs away with the money but if they had to do this they wouldn’t have gone to such lengths by creating a Blockchain Observatory. Venenzula is trying to solve their issues by the help of blockchain and I hope they use it in the best of manner. Yesterday (1st October 2018) Petro Coin made some interesting changes, their whitepaper now just has 1 page which has an image of petrocoin , their Windows Wallet is an empty zip file and the yes you guessed it right : their User Manual is also blank.. They did port to a new domain so maybe they are porting and in their country it might be slow. Who knows right ? 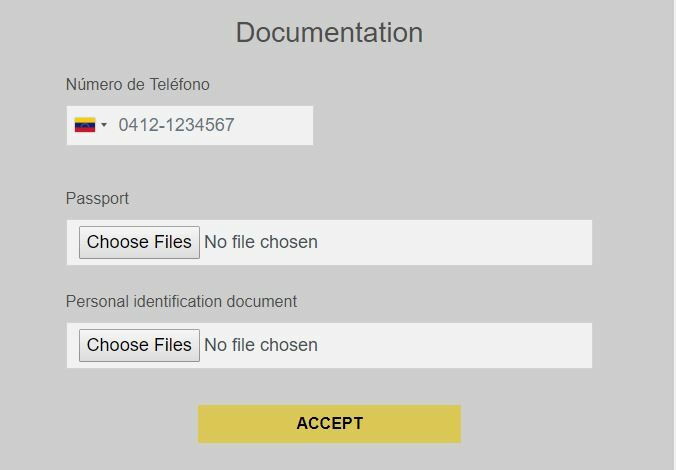 http://www.elpetro.gob.ve/descargas/Petro_whitepaper_eng.pdf – well, just the cover page, a new wallet (http://www.elpetro.gob.ve/descargas/Wallet_petro_Windows_eng.zip – an empty zip file) and a new user guide (http://www.elpetro.gob.ve/descargas/Manual_usuario_win_eng.pdf – or just the cover page). 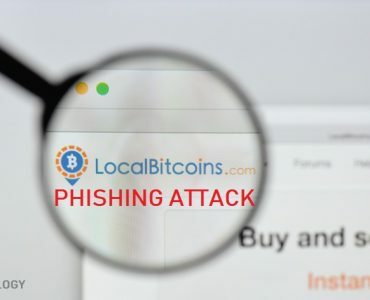 The Official Website of Petro Coin is not using any sort of encryption so if you must participate in the ICO please ensure you are not using any public internet connection as things can get very risky.